Thanksgiving! That time of year when we give thanks. I have such wonderful memories of Thanksgiving, the cousins coming out to the country to ride horses, jump around in the hay barn and swing on a big rope swing hung in a large Maple Tree by the creek. 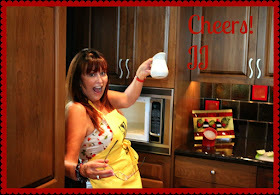 However, when it came to dinner and the cranberry sauce was passed......I was NOT a taker! This recipe is just the right amount of sweet and tart..... I LOVE it! Now fast forward to Instant pot..... 8 minutes of high pressure and a quick release, I have cut at least 20 minutes off cooking time! 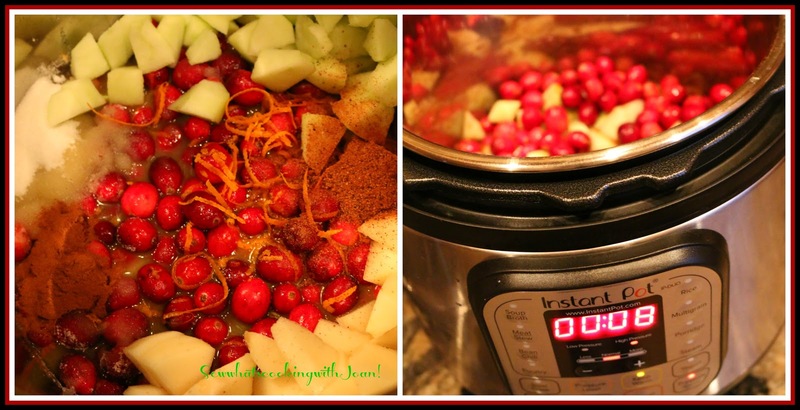 If you are not a Instant Pot owner yet, go to this link for the stove top version! 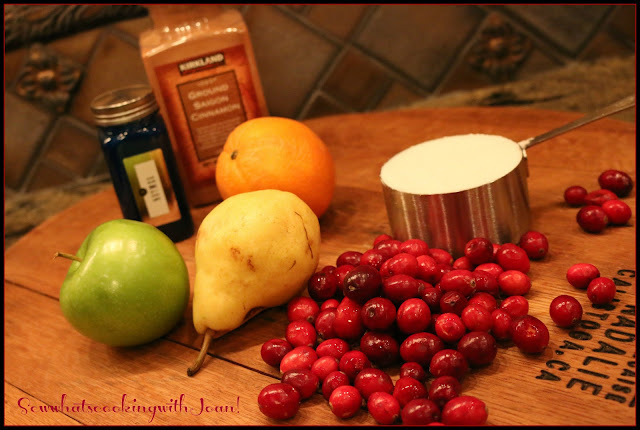 Rinse and pick out the bad cranberries. 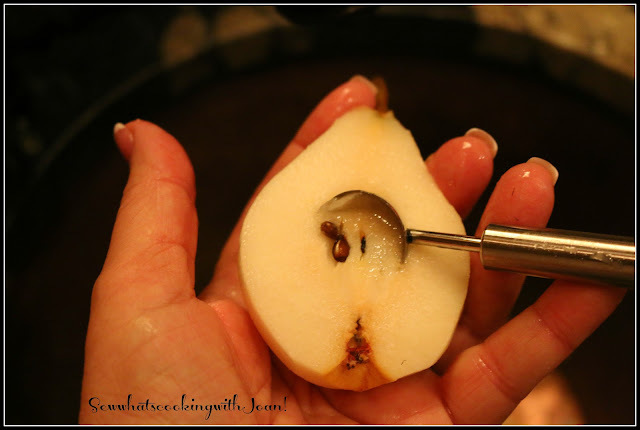 I use a melon baller to scoop out the seeds and veins of the pear, it works great! In the instant pot bowl combine the orange juice, sugar, cranberries, apple, pear, salt, cinnamon, nutmeg and the orange zest. Put the lid on and close the valve. Set on high pressure for 8 minutes, and do a quick release. Place in a serving dish! 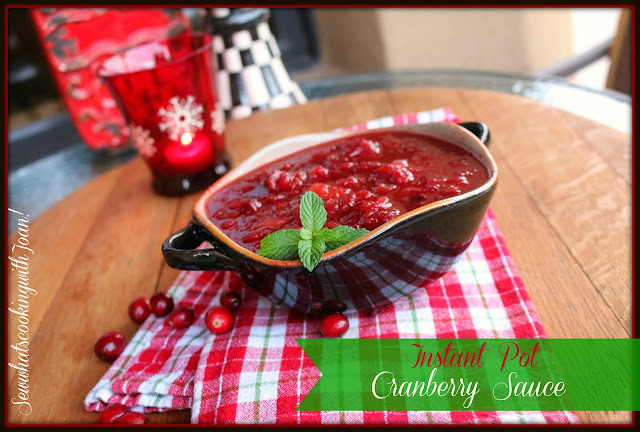 ~ This sauce is great over a block of cream cheese or a wheel of brie for appetizer with crackers or in a turkey sandwich the next day! 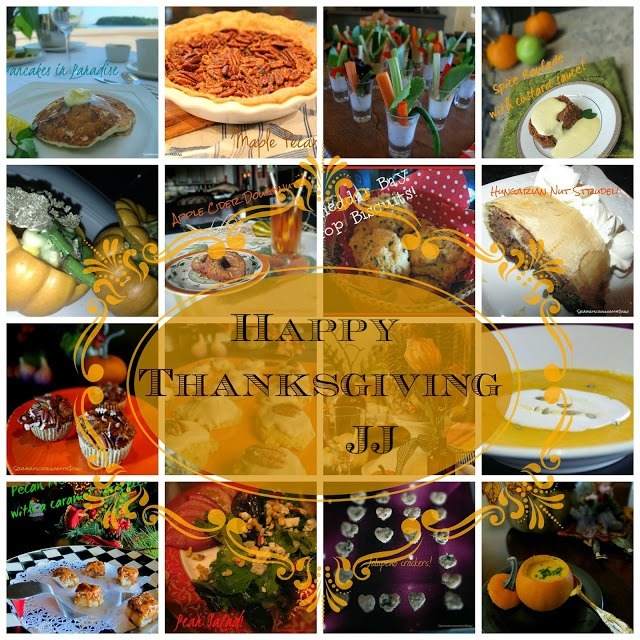 For more Thanksgiving recipes and ideas go to Thanksgiving round up! Left overs? I got you covered! 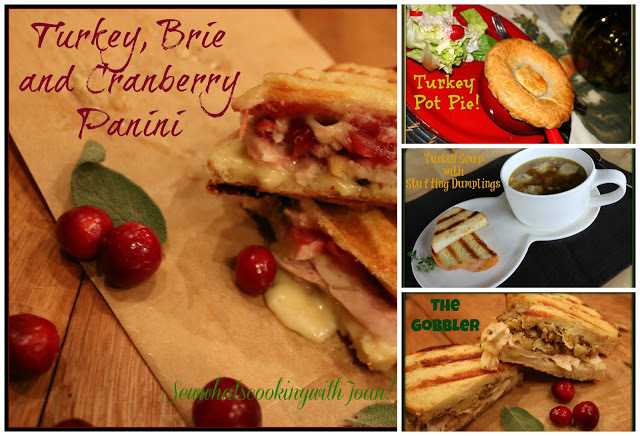 Go to Master Recipe List and scroll down to Thanksgiving left overs! Wishing you a warm and wonderful Thanksgiving!